Games have a zombie problem. They can be your basic slow shamblers or your fast berserkers, but whatever variation appears in a game, zombies are little more than mindless pinatas meant to be killed in large numbers. Zombies are rarely a challenge to fight on an intellectual level, and an enemy that doesn’t get players thinking isn’t an enemy worth fighting. So how do you make zombies interesting? Capcom’s Dead Rising 2 offered an interesting solution: add a timer to the mix. This post originally appeared 2/10/17. The brainlessness of zombies is a double-edged sword. Action games are meant to provide great audiovisual feedback, and few things are as satisfying as the nice, fleshy splat when you shotgun a zombie in the head. Zombies will continue throwing themselves at you until they die, so you can use your weapons to your heart’s content. But it’s like playing tug of war with a toddler; tugging is fun when you have to try, but it’s not satisfying at all when you’re pulling against someone a lot weaker than you. 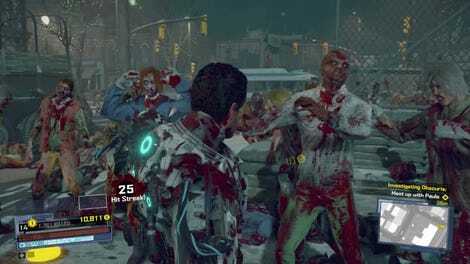 This is where zombie games end up disappointing us: a game like Dead Rising 4 gives you a ton of tools to go kill zombies with and lets you slaughter to your heart’s content, but the thrill ends too quickly, because zombies are often so easy to defeat, so lacking in challenge, that a player can burn out after an hour or two and simply stop caring. But Dead Rising 2 makes up for the fundamental lack of tension in fighting zombies with its timer. It uses time as a resource to be managed, creating the tension fighting zombies lacks. Dead Rising 2’s protagonist,Chuck Greene, is a professional motocross champion who races in Las Vegas-like Fortune City to earn the anti-zombie medication Zombrex for his daughter, Katey, who was bitten some time before the game’s introduction. Of course, society collapses, zombies attack, and Chuck and Katey find themselves trapped in a bunker, waiting for help to come. Unfortunately for Katey, they’re out of Zombrex, which means Chuck has to venture outside in order to keep her from turning. In his search for Zombrex, Chuck discovers a conspiracy behind the outbreak. A hallmark of the Dead Rising series is its timer mechanic. Players are put on a clock, which is always counting down to some big event; in Dead Rising 2, that event is the military’s arrival. Katey needs Zombrex once a day to survive, and players who fail to inject her in time will have to watch her turn into a zombie, prematurely ending the game. Any side quest the player encounters will count down and eventually fail if not completed in time. There are always things to do, and the clock never stops, pressuring players to complete everything in time or risk other survivors dying. In a series like Dead Rising, where killing zombies in comedic fashion is a big selling point, the timer might seem at first like a pointless nuisance. Anyone who thinks Dead Rising is just about the killing can be forgiven for that: Capcom sells Dead Rising as an exercise in zombie killing. Dead Rising 4 features an achievement for slaughtering over 200,000, with ads featuring comical combo weapons built to murder and amuse simultaneously. “How many zombies can you kill?” may be the marketing angle, but the real question is how best to use your time. In a game with limited ammunition, wasting bullets can create complications later on. In Dead Rising 2, wasting time does the same thing. Knowing when and how to rescue people can be complex, and without knowing the best routes through the world, players can waste precious time and lose some survivors. Limited time and racing against the clock become bigger hurdles than the hordes of easily-disposable zombies thrown your way. In Dead Rising 2, survivors matter. Many of Dead Rising 2’s survivors have specific tasks that must be completed before rescuing them. Linette Watkins has fallen asleep in a tanning bed during the outbreak and needs to be hydrated and carried back to the safehouse. Tammy Blaine is stuck in a mermaid costume and is unable to walk to safety. These survivors require specific actions to rescue, and their encounters are designed to make you spend time exploring the city. Since time is such a valuable resource, Dead Rising 2 wants you to think strategically about how to spend it, and these missions exist to challenge your critical thinking. Learning the area while trying to beat the clock creates the tension the zombies, by nature, lack. Players have to juggle missions, followers, and finding the toilets throughout the world that act as save points if they want to save everyone and see everything. There’s something awesome about becoming so good at the game that you can complete subsequent playthroughs saving everyone with time to spare, participating in all the wacky adventures that Fortune City has in store for you, because you successfully planned your route through the world. Everything in the game becomes about using your wits to beat the clock. Dead Rising 2 is a great zombie game not because it’s a game about zombies, but because it’s a game about planning. The zombies make the world you’re traveling through dangerous, but they aren’t the game’s focus. Zombies exist so there’s a reason survivors will die without your help, but they’re not meant to be overcome. They’re endless. The real focus is on saving all the survivors, keeping Katey safe, and getting out of Fortune City. Zombies aren’t the enemy—the timer is. Dead Rising without a timer is a game without an enemy to be beaten. The real strength of Dead Rising 2 is a hard sell—it’s easier to market zombie-killing mayhem. It’s a game about the process of mastery, about playing it enough to learn Fortune City and overcome the clock. Like most games about mastery, its depth isn’t always readily apparent on the first playthrough. Capcom seemed to recognize this through their efforts to change the series. Dead Rising 3 tried to make the timer less meaningful, but that and its poorly-designed open world meant it sold less than Dead Rising 2. Dead Rising 4 outright removed the timer, except for a brief countdown in one mission at the end of the game. 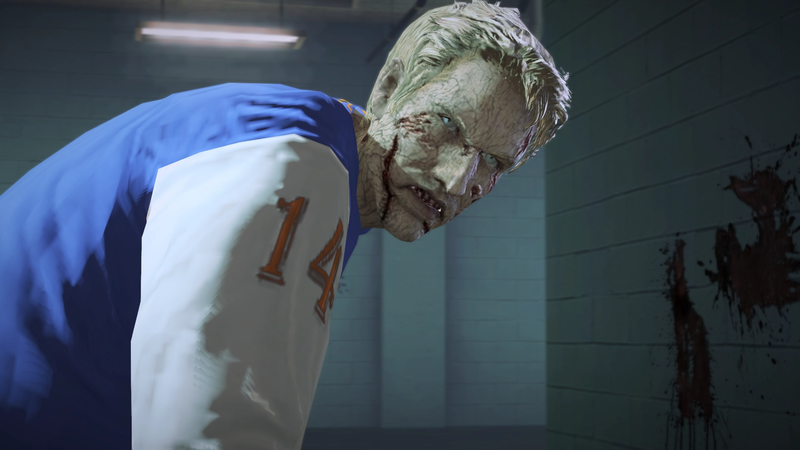 Capcom developers suggested that completely removing the timer in Dead Rising 4 was so they could keep making Dead Rising games, because change is important to the series’ continued success. But there’s a difference between evolution and amputation. Dead Rising 2 is the most successful game in the series because it’s a game that provides thoughtful gameplay to thoughtful players. 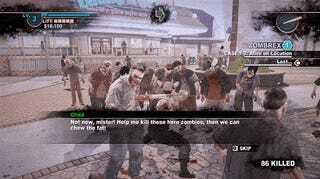 Without the timer, Dead Rising is a game where the zombies are everything, so the zombies are nothing. Dead Rising should evolve, but the timer must retain its primacy in order for the game to remain tense and intelligent. There are numerous potential routes Dead Rising could take without cutting out its single most important design decision, such as borrowing from Dark Souls’ shortcut design or The Witcher 3’s heavy use of choice and consequence. Zombies aren’t supposed to be central to the story, a lesson we learned with George Romero’s seminal zombie classic Dawn of the Dead. Zombies are best as motivators, as things that move people to act, that push people to desperation. The zombies have it all figured out. They want brains. We should too.